Legacy call retrieval can be a complicated topic. So we’ve put together a checklist to help you address the most important issues to consider when tackling this subject. 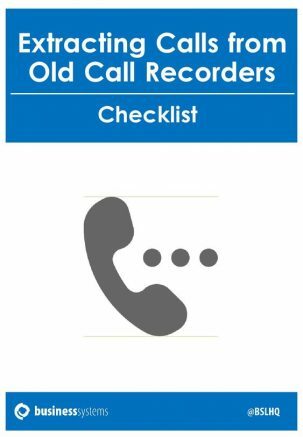 Be the first to comment on "White Paper: Extracting Calls from Old Call Recorders Checklist"